City head to Elland Rd for the first time in over 20 years. It's an early start for the fans with 7am and 7.30am pick ups for the 1300 or so travelling on organised coaches. City will look to improve on the 0 - 0 draw between the clubs earlier in the season. Leeds were well outplayed but thanks to a poor Andy Campbell penalty miss and the woodwork (4 times) the game stayed goalless. (Report here). The only possible team change from last weeks FA Cup draw is that Peter Thorne is likely to start ahead of last weeks scorer Alan Lee. With no reserve team action this week I would guess it's unlikely that Tony Koskela will be involved. Warner, Weston, Collins, Gabbidon, Barker, McAnuff, Inamoto, Kavanagh, Langley, Thorne, Jerome. Subs: Alexander, Vidmar, Bullock, Ledley, Lee. "Upon completion of due diligence by our potential funders, the true scale of Leeds United's debt and liabilities have become clear. It was obviously more than we, they, and many others had envisaged." Administration would mean a 10 point deduction. Leeds will be without former City player Nathan Blake, he is on loan at Elland Rd but ruptured his hamstring last weekend. Sullivan, Kilgallon, Walton, Duberry, Kelly, Richardson, Gregan, Lennon, Wright, Healy, Blake. Subs: Carson, Pugh, Griffit, Joachim, Ricketts. Another player who could miss out is former target Sean Gregan, the midfielder is suffering from a stomach bug. There will a return to the team for Clarke Carlise, the defender is back from suspension. City have yet to conceded a league goal this calender year, OK that's only two games but with a goalless draw at Watford over Christmas it means we have not let in a league goal in over 280 mins of football. City are also looking for a third straight victory after the successes over Derby and Forest. 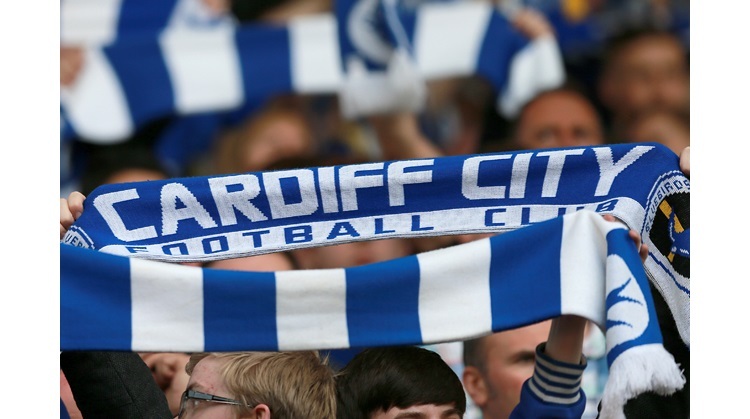 If Cardiff were to win it would only be the second time in league history we have won there (excluding FA Cup games). The first and only time was in 1921. The Valley Rams and Cardiff City Supporters Club will lay a wreath at Elland Rd tomorrow in honour of the Leeds fans murdered in Istanbul in 2000. Leeds Utd v Cardiff City. Saturday 15th January, ko 3:00pm.